This will be a complete interpretation of the mirror hour 19:19 using the study of the guardian angels, numerology, and the Tarot. Here you will learn to understand the message that this double hour is sending you. 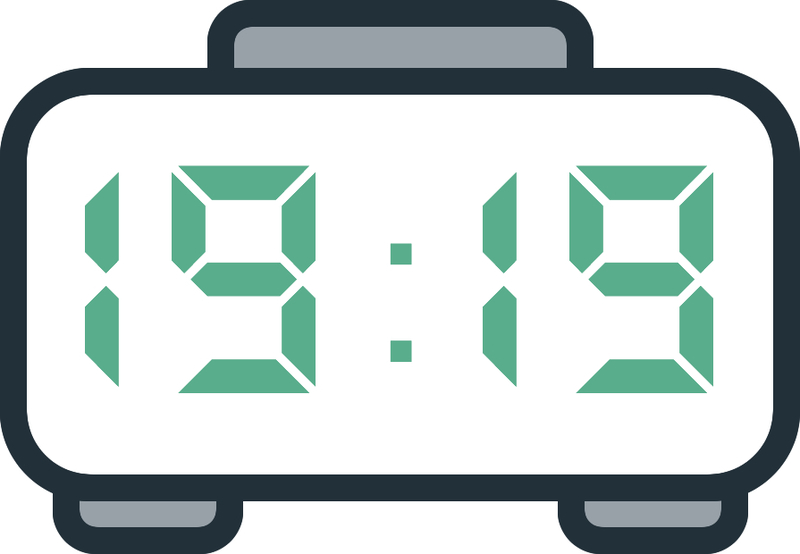 Coming across 19:19 has meaning and we’re going to tell you everything! When we know what to look for, we find that our daily life is filled with synchronicity. Seeing a mirror hour or hearing a song on the radio, there are many signs that you need to learn how to spot in order to benefit from the possible guidance that they may bring. Here you will learn the name of the angel that has influence over the hour 19:19, as well as its numerological value. You will also find out the Major Arcanum of the Tarot of Marseilles which corresponds with this double hour. You can’t control your subconscious, but you can learn what 19:19 means! The analysis of this twin hour with the help of the angels is a positive one! It shows that you have a beautiful soul. You are a person who shines spiritually. You are the embodiment of kindness and goodwill, and this allows you to help many people. You have potential in the realms of reflexology and mediumship. 19:19 indicates that you have an overwhelming amount of energy. You need to channel it in positive ways, as this will have major benefits if you are trying to help the people around you. If used in a bad way, however, this energy can cause you to take on too many things at the same time. This can plunge you into states of immense fatigue. This angelic synchronicity points to the fact that you are currently in a period of intense self-reflection. By connecting 19:19 to your subconscious, your angel is confirming that you are on the right path to finding a solution. You are a person who is in possession of a great deal of spiritual energy which allows you to quickly resolve a great number of problems. Communication with the angels is important for you. Your connection to their energies will be easily made through prayer or meditation. If you see this mirror hour regularly, it is a kind of invitation to develop your extra-sensory capabilities. If you feel practically assaulted by mirror hours then it could be that an entity wants to guide you or deliver a message. The guardian angel corresponding with 19:19 is Yeialel whose period of influence is between 19:00 and 19:20. He is the symbol of healing and a fighting spirit! He allows you to excel in the divinatory arts, especially in astrology. You can invoke him if you are feeling depressed! He will bring you the energy you need to bounce back. He helps you to get through difficult periods, or to fight illness and to find a cure. With his help you are protected from slander and from people with bad intentions who are hiding what they truly want. What does 19:19 mean in Numerology? 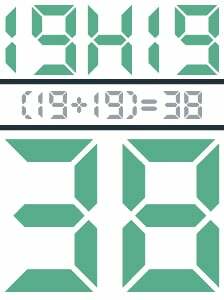 The total value of the mirror hour 19:19 is 38 which highlights the relationship aspect of your life. It suggests a romantic relationship which is stable and fulfilling. Life in a couple is just so much better! If you are still looking for love, then this mirror hour encourages you to be patient. Good things come to those who wait. It is also referring to your personality. You are a creative person and it is often through art that you express yourself best. Music, drawing, and writing are ways for you to share your emotions. Keep this space for expression open as it is vital to keeping your life balance. 38 highlights your productivity. You are a particularly efficient person professionally and this brings you great success and quick advancement in your work. But take care to manage your priorities well. If you don’t, you are going to encounter setbacks. Finally, you have the skills and knowhow to reduce conflict. Using your gifts for diplomacy you will manage to control even the most hopeless of situations. You are a natural optimist and you freely share your view of things with others, showing them that it is possible to escape from any situation no matter how difficult. 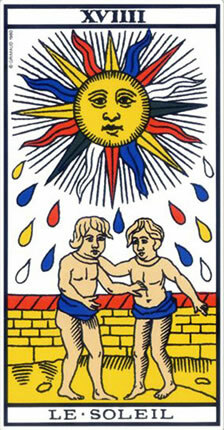 The Tarot card corresponding to 19:19 is the Sun, which is the symbol of success! Within this card is the notion of light’s power and everything seems to be looking better for you! You are going to find happiness in love and reach total fulfillment in the spiritual aspect of your life. You are on the path to success and happiness, so keep at it! Interpreting the Arcanum of the Sun shows that your life is filled with light! If you have a question in your mind at this moment in time, then the answer to it is a resounding “yes”! The Sun demonstrates your capacity to form relationships with others. In love it symbolizes union and a well-rounded relationship with a partner. Everything points to this card bringing you luck and positive guidance. Like all the cards of the Tarot, the Sun can also have a bad position in a reading, in which case you should be wary as you risk being misled or manipulated by insincere people. Keep your eyes open and don’t open up too much to people you don’t know very well. In love, the Sun is a symbol of happiness. If you are single then you are going to have a meaningful encounter. If you are in a relationship then you are going to be dancing on air and there will be some good news on the way. This could be to do with a marriage or a birth. Professionally, you are going to surpass all the hopes and expectations of your coworkers, and you will receive all the recognition you deserve! In matters of money, the Sun is a symbol of success and a regular income. You will definitely have financial security, so relax! Any comment on the 19:19 mirror hour? Thank you. It was fascinating to read this. Thank you soo much right on time. I had a huge break through/paradigm shift yesterday and I wanted to read about it. And you provided some answers for me. Thank you for listening to source so that I could read it today for answers. Sending Light and Love to you! Man I am so fully like oooh man this energy is so on point right on time like seriously right on time! I’m looking in the mirror at myself and I love you ❤️! What a amazing time it is! That’s what’s up! Thank you to all my angels and help I’ve got to get here at this time right now! Stay blessed y’all always! All The things I’m going through at this point of my life . Attract , want it, work hard . The tarot wow the negative part , I’m keeping my eyes open . New entry.. awakening..guide me to gain the power of knowledge with in myself. 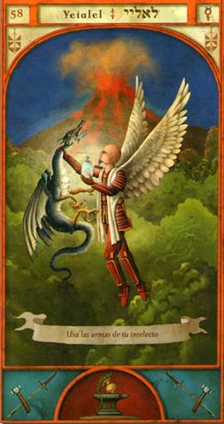 Calling upon divine angels..archangel Michael..to thank him protect my soul with love. Thank you for the blessings, I love you all!! Thank you so much Angel.I am so happy to google the details about 19:19 number.Thank u once again for beautiful message. Thank you very much! Its a beautiful message!! !